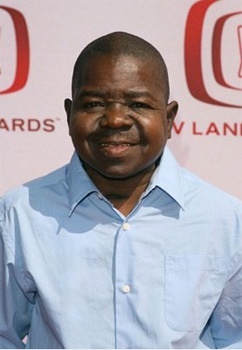 Gary Coleman, the man who became a sensation for saying, ""What'choo talkin' 'bout, Willis?" has died. For many of us, Gary Coleman was Arnold Jackson on Diff'rent Strokes. He was also Kenny Falmouth in The Curse of Monkey Island, and appeared as himself in Postal 2. On May 26th, Mr. Coleman was hospitalized after suffered a fall at his home and then developed a brain hemorrhage. On May 28th, it was announced that Coleman had died. He was 42. Coleman's health was regularly an issue for him. At an early age, he suffered from congenital kidney disease, which caused his growth to halt. This, in turn, led to his 4'8" height and, apparently, his childlike appearance, too. He also had to undergo two kidney transplants in his youth and required daily dialysis. Just a few months ago, he suffered a seizure while on the set of The Insider. It's hard not to feel sorry for Coleman. The man was a bad punchline for most of his adult life, usually appearing in productions as a parody of himself. Nobody took him seriously, though the mix of pity and amusement we felt for him allowed him to be the seventh runner-up in the 2003 gubernatorial recall election here in California (not bad, considering there were 135 candidates on the ballot). Admittedly, Coleman was apparently difficult to get along with, based on reports of his temper flaring out of control and his public legal struggles (this perception wasn't helped when he erupted on the set of The Insider). This probably didn't serve him well when he was looking for work: no one enjoys working with someone whose anger makes them a liability. It must have been hard for Gary Coleman, going from the immense success of his youth to having no real career left and declaring bankruptcy. I suspect his life was filled with more anger and frustration than most people's, even though it was cut short. Hopefully he's managed to finally find some peace.